Affordable Kids Clothes…from Baptism Gowns to Flower Girl Dresses Direct to Montreal! Our children’s boutique offers everything to outfit your child for an amazing look – for Baptisms, Holy Communion, Weddings or any special party. Shop high quality, affordable kids formal wear in the latest fashions that are hard to find in Montreal all in our online shop! Accessories are all here to complete that perfect outfit, too. We ship all over Canada and directly to Montreal, Laval and all cities within Quebec every day! Need your order fast? In stock items ship fast to Montreal. We’re Montreal and Quebec’s Preferred Shop for Flower Girl Dresses, Baptism Gowns and Communion Outfits – Plus Adorable Accessories! 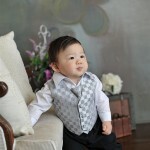 Parent’s love our selection of kids formal wear. Whether you’re proud new parents celebrating your child’s Baptême and want the perfect gown or outfit, or you’re looking for that perfect Holy Communion dress or boys suit, we’ll be happy to help you select clothing that fits well and looks great! Customers across Canada shop Grandma’s Little Darlings and we’re thrilled to serve the Montreal community. proudly served brides and party planners across Montreal, Laval and cities across Quebec with fast shipping and nearly all orders ship from right here in Canada! Importantly, we ship daily to Montreal and all of Quebec so if you’re short on time, call us for amazing children’s outfits that will arrive on time – on budget – direct to Montreal-Quebec. From coast to coast across Canada we’ve been helping Canadian parent’s outfit their children for the biggest events of their lives! Our customers in Montreal trust Grandma’s Little darlings to deliver quality every time – on time!